Coffee mornings are a great chance to get together with friends and neighbours and make a difference to charity. Simple, fun and easy to organise, your coffee morning could help the world’s most vulnerable babies survive. 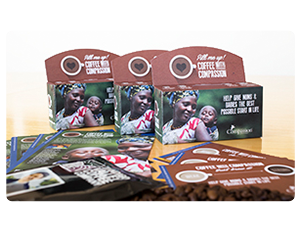 Hold a Coffee with Compassion event and you’ll raise funds to help babies in poverty survive the first few critical years of life. The vital funds you raise will ensure babies are vaccinated against deadly diseases and give mothers the skills they need to earn a living. What’s more, thanks to our amazing friends at The Indigo Valley Coffee Company, the Fairtrade coffee is free! Why choose Compassion for your coffee morning? By choosing to hold your coffee morning with Compassion, you can be assured that your event will make a direct difference in helping some of the world’s most vulnerable babies survive. Compassion UK is an international child development charity with 66 years’ experience in bringing change and hope to children in poverty. Hold a coffee morning and raise funds to help babies in poverty survive the first few critical years of life through our Child Survival Programme. What’s more, thanks to our amazing friends at The Indigo Valley Coffee Company, the coffee’s on us! Your event will raise vital funds for our Child Survival Programme which supports mothers with pre-natal and post-natal care, including check-ups, vaccinations and the presence of a medical professional during childbirth. You don’t have to be a master baker to hold a coffee morning with Compassion. We’ve taken the hassle out of baking for your event by putting together a free recipe book, plus a downloadable lemon cake recipe and chocolate cake recipe. Your coffee morning doesn’t have to be held in a big community hall, you can simply host your Coffee with Compassion event with a group of friends in your living room. 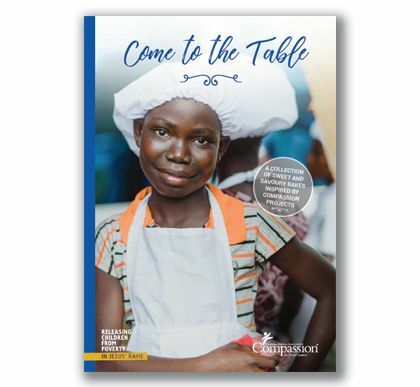 You could also hold your event in your work office or with your church small group—even the smallest of events can make a huge difference to children in poverty. Choose a date for your coffee morning which is far enough in the future to give you plenty of time to plan. 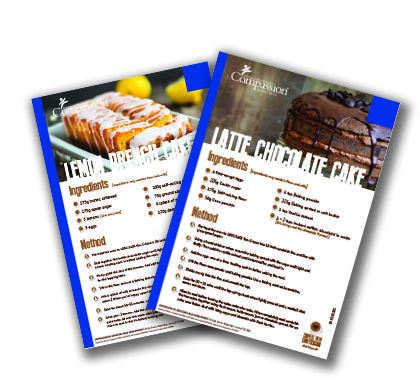 As soon as you’ve set a date, let others know about your event by putting up coffee morning posters and inviting your friends and family. 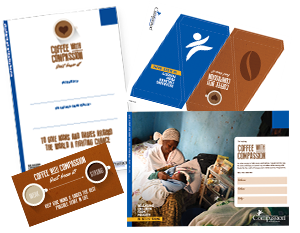 Our Coffee With Compassion pack contains everything you need to set up your event quickly and easily. 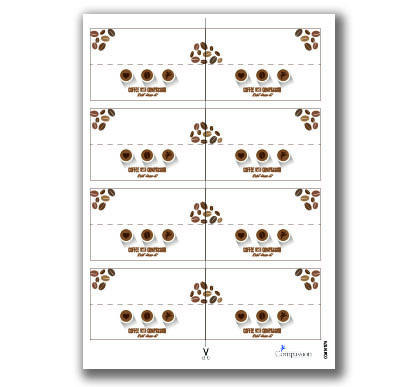 We have a great selection of free coffee morning resources which you can download including a coffee morning poster, email invite template and coffee morning bunting. 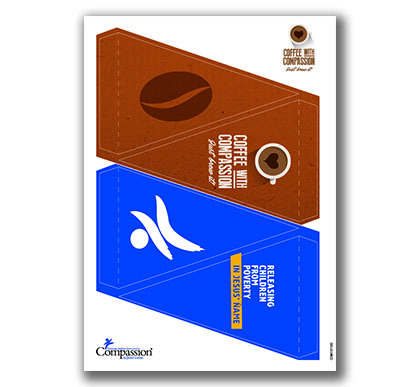 Indigo Valley is generously providing a free pack of Compassion-blend coffee with every Coffee with Compassion pack. Indigo Valley’s hand-roasted, award-winning Fairtrade coffee is delicious. 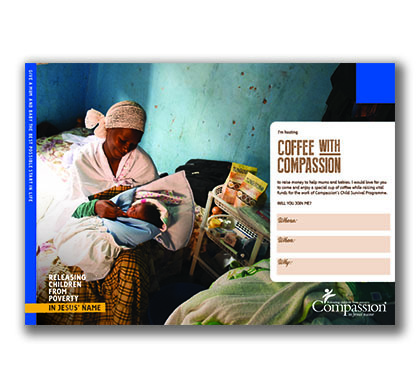 WHAT MAKES COFFEE WITH COMPASSION SPECIAL? What is the Child Survival Programme? We will use the personal information you provide to process your request for resources and to communicate with you about your coffee morning event. “During this pregnancy I suffered so much that I lost hope. Compassion came to save me and Bernard.